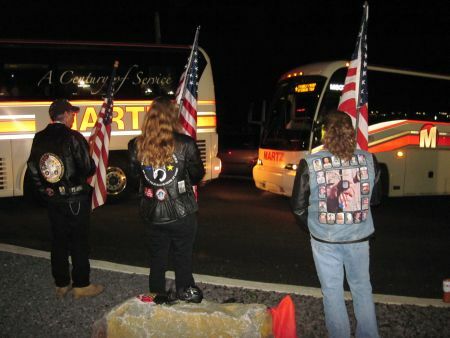 » NEPA : Send Off PA National Guard Warriors' Watch Riders: WE HAVE YOUR BACKS AT HOME! Beginning at 5 Aam (that is not a “typo” it was 5 am! 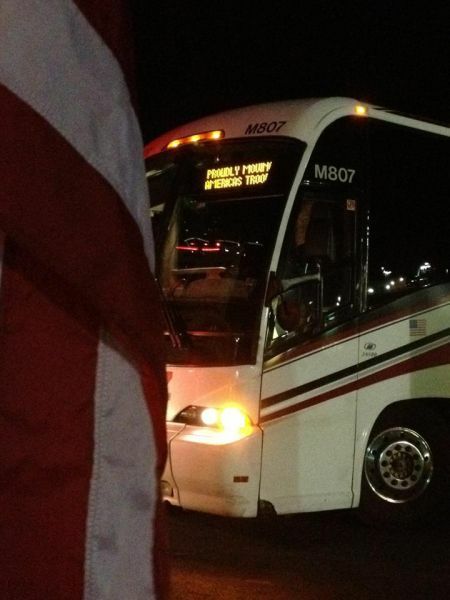 ), and throughout the day, buses filled with soldiers from the PA National Guard 109th Infantry arrived at Scranton-Wilkes Barre Airport en route to a 10 month deployment. When they arrived, they saw us standing there with our flags. Their first stop was Mississippi where they will train before heading to Kuwait to perform security missions as part of Operation New Dawn. Quite a few came over to thank us for being there, told us that it meant a lot to them, and shook our hands. We thanked THEM, wished them a safe deployment, and said we would see them when they get back! We will be looking forward to welcoming them home!!! No user commented in " NEPA : Send Off PA National Guard "